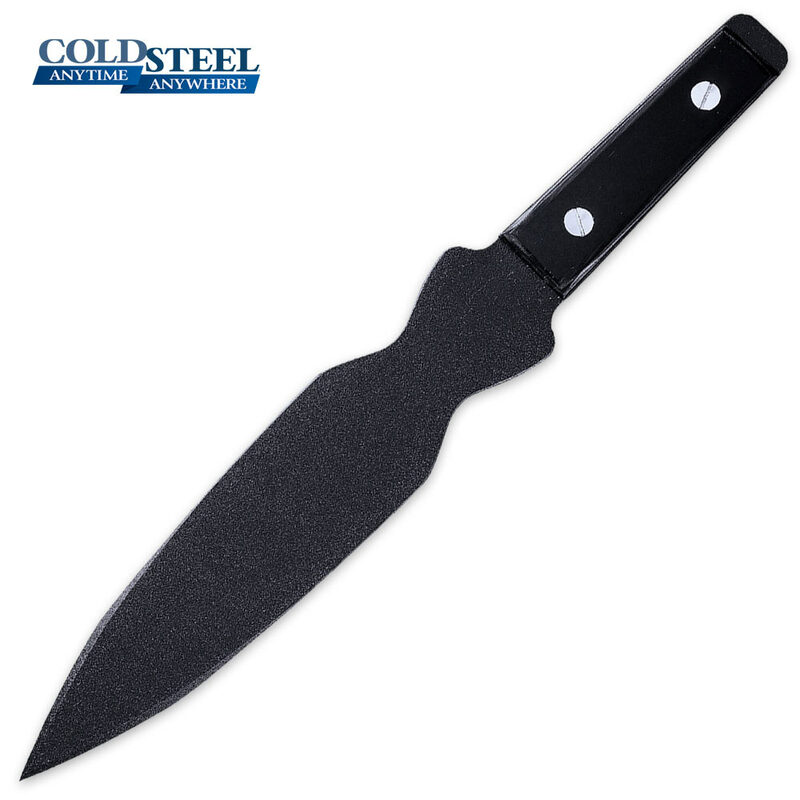 If you are looking for an accurate, dead-on throw, the Cold Steel Pro Balance throwing knife is for you! Constructed of 1055 carbon steel, the blade offers a black weather-resistant finish. The composite handle scales are replaceable so that you can use this throwing knife over and over again! Great thrower, I also have 3 sure balance throwers(massive), which are awesome! This one feels better in my hand for handle, blade, and no spin throws. Just in case the handle scales go the way of many others they are easily replaceable.